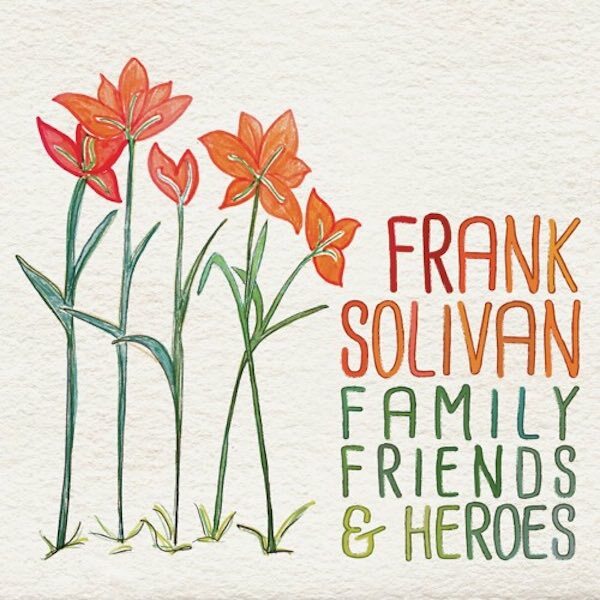 Following Frank Solivan & Dirty Kitchen’s Grammy nomination, IBMA Award, and top prize in the Mid-Atlantic Song Contest, bandleader Frank Solivan continues the pace in 2016 with a solo release, Family, Friends and Heroes. Available March 4th, the album pays homage to Solivan’s family and features the pristine playing of his closest musical heroes. Special guests include members of Dirty Kitchen along with Sam Bush, John Cowan, Jerry Douglas, Rob Ickes, Del McCoury, Ronnie McCoury, and more. Recorded in an intimate, living-room style, Family, Friends & Heroes is a glimpse into Solivan’s heart. Highlights are plenteous and include a take of “Pretty Woman”, with Del McCoury on high harmony, “Wayfaring Stranger”, featuring the vocals of Lorene Solivan (Frank’s late mother); “The Fishing Song”, written by Ty Smith (Frank’s cousin); “Are You Missing Me”, featuring frank’s cousin, Megan McCormick (Jenny Lewis); and “Leaving On A Jet Plane”, featuring John Cowan’s mighty tenor. A prolific force from the stage, the studio, and even in the kitchen, you can expect Solivan and his band to continue to entertain fans as they tour in 2016. Select shows (*) will feature favorite dishes from Solivan’s forthcoming cookbook, and two shows (*DKE) will feature the group’s full-blown “Dirty Kitchen Experience,” through which attendees can expect to be fed both musically and physically. These special shows begin with dinner prepared and served by Gourmand Frank Solivan himself and end with an intimate performance by Frank and the band. March 19 — The Hamilton: CD Release Celebration (w/ Rob Ickes & Trey Hensley & others) – Washington D.C.
Take a sneak preview here on Soundcloud.